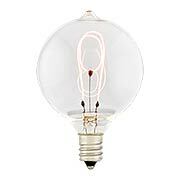 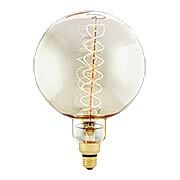 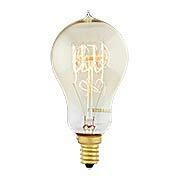 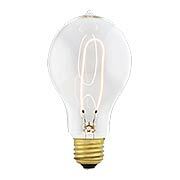 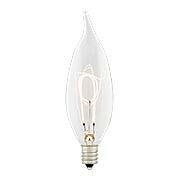 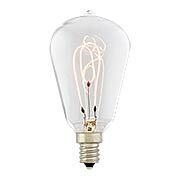 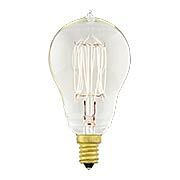 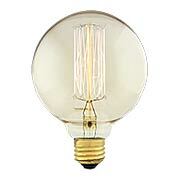 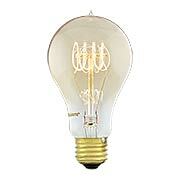 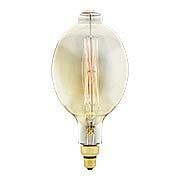 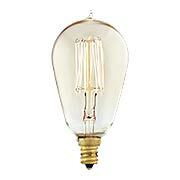 Our collection of Edison style, filament bulbs gives any fixture vintage flair. 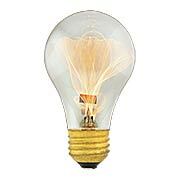 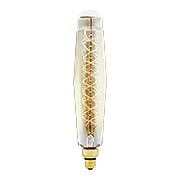 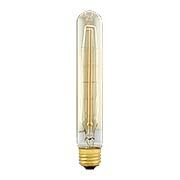 Whether choosing carbon or tungsten filaments, these incandescent bulbs create a warm and mellow period ambiance. 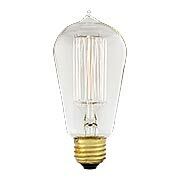 Faithfully recreated from historic designs, they are perfect for exposed socket fixtures like chandeliers, sconces, and pendants. 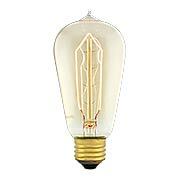 Learn about the history of the Edison filament light bulb. 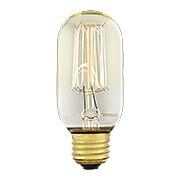 Crafted to preserve the look of early 20th-century lighting, this sleek, amber-glass bulb adds a low, warm glow to traditional and contemporary decors. 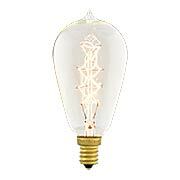 Handcrafted with an intricate filament design, it is ideal for any exposed-bulb fixture, both indoors or out. 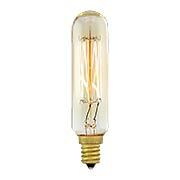 E26 base fits all standard medium base sockets. 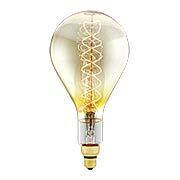 40 watts, 120 volts. 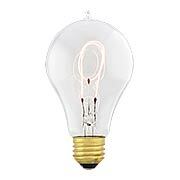 3000 hour average life. 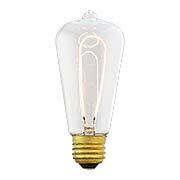 Crafted to preserve the look of early 20th-century lighting, this tapered, amber-glass bulb adds a low, warm glow to traditional and contemporary decors. 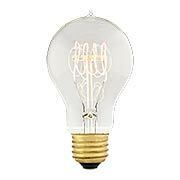 Handcrafted with an intricate filament design, it is ideal for any exposed-bulb fixture, both indoors or out. 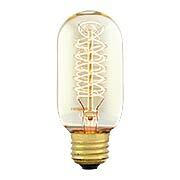 E26 base fits all standard medium base sockets. 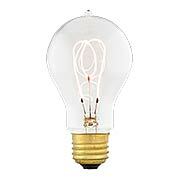 40 watts, 120 volts. 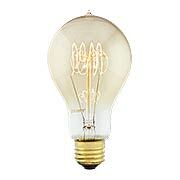 3000 hour average life.